First on most lists is of course Katie Boyd Britt, who has recently been selected as head of the Business Council of Alabama. She is not only the first female to lead the organization, but by far the youngest at 37. Katie is dynamic, fierce and talented. She will be an outstanding advocate for the business community in the state. She is the former student body president of the University of Alabama as well as a graduate of the University of Alabama Law School. Mary Margaret Carroll was the first female to join the state’s oldest governmental relations firm, Fine, Geddie and Associates. She is a brilliant superstar. Mary Margaret is from a prominent Ozark family and possesses a temperament professional demeanor that depicts class, character and intelligence. She has a proven combination of analytical, problem solving, legal and communications skills. She is known for her quiet confidence and conscientious discernment. Mary Margaret manages a broad array of interests in tech, insurance, natural resources, energy and education. Mary Margaret Carroll and Katie Boyd Britt have amazingly similar backgrounds. Both are daughters of the Wiregrass. Mary Margaret is from Ozark and Katie Britt is from Enterprise. Both were student government presidents and were Chi Omegas at the University of Alabama. Alison Hosp, who represents the Alabama Retail Association, has proven to be one of the most effective and professional governmental relations spokespersons for several years. Maci Martin Walker is an outstanding contract lobbyist with the Christie Group. She has worked on dozens of policy measures over the years for major corporate clients. Katherine Green Robertson is the Chief Legislative Liaison for the Attorney General’s office. She is a native of Selma and a graduate of Auburn University and the University of Alabama School of Law. Katherine previously worked for Senator Jeff Sessions as counselor during his tenure on the Senate Judiciary Committee. Robertson was one of the few former staffers called back to Washington to advise Sessions during his confirmation process as U.S. Attorney General. First on many lists is Neah Mitchell Scott, who represents the revered Retirement Systems of Alabama. Neah is a brilliant attorney who posses excellent interpersonal skills that holds her in good stead representing the 800-pound gorilla that is the RSA before the state legislature. Neah is a native of Montgomery and a graduate of Auburn and the University of Alabama Law School. Holly Caraway very aptly represents the Department of Mental Health. Holly is a native of Trussville and earned a BA, JD, and MBA from the University of Alabama. She is admired because she is a passionate advocate for causes in which she believes. Ashley McLain is an extremely talented and confident lobbyist for the Alabama Education Association. Brittany Bryan represents the State Personnel Board. She is one of the most experienced agency liaisons on this impressive group of female policy makers. Molly Cagle, who represented Manufacture Alabama, is a star on the rise. She was stolen away by Katie Britt at the BCA. Molly is a former Auburn University Homecoming Queen. Christian Becraft, who represents Auburn University, is another superstar. Sally Corley, who represents the State Employees is one of the most well-liked young professionals in Montgomery. All of the outstanding young governmental affairs folks in Montgomery are not all female. There are some bright and brilliant young male lobbyists, also. Two of the brightest are married to females just mentioned. Niko Corley, who represents the Medical Association of Alabama, is married to Sally. R.B. 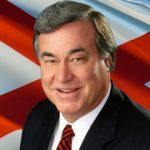 Walker, who represents Alabama Power, is married to Maci Walker. David Cole, who has been an energetic stalwart advocate for ALFA, has gone to the BCA to work with Katie Britt. He was a key player in the recent passage of the infrastructure passage. The University of Alabama has brought on young Charlie Taylor. He is smart and has a strong family history in Alabama politics. Young William Filmore, the son of a prominent Wiregrass judge, is outstanding as the Governor’s legislative liaison.